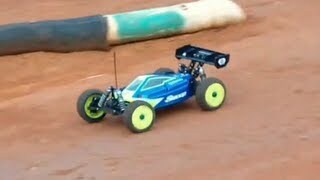 These Radio Control Hobby videos are from Around the World, produced by YouTube RC Hobbyists everywhere! If you like a Video – Please Visit the Producers channel & SUBSCRiBE! We do our best to Monitor the LiVE YouTube Feed to keep it “PG-13”. If you see a Video that is questionable, please report it via the “CONTACT” feature at the top of this page, including the link to the post being reported. Projekt : MTA ▻Mitspieler : ▻SkaZz aka Flow : http://www.youtube.com/user/RiskoTV ▻TheLongSixTeen aka TLST aka … : http://www.youtube.com/user/TheLongSixTeen. Drive and filming with i phone 5 & monopod, sorry for shaking!!! Holmes Hobbies Crawl master 13T is fast, much faster than tekin 35T Hand Wound “Pro” Motor, (35T is very good for slower crawling)….